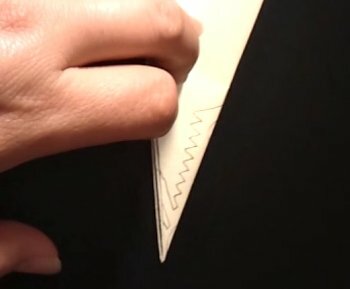 It is a good idea to make paper cutting templates that you want to keep some unique paper cutting patterns for using many times. It will be a good idea for you to use them around the kids too. The kids can use templates draw by themself on the papers. In here I will show you how to make a fold and cut snowflake template for your paper cuttings. Go to the following links below, find the pattern that you would like to cut and keep as a template for future use, print the pattern, they are free to download. 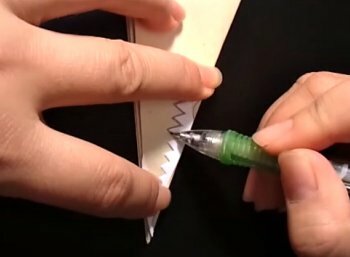 Materials: Scissors, stapler, pencil, printer, cardboard (or index card). 1. 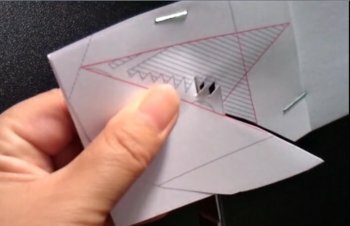 After you find the pattern that you would like to make a template, print the pattern, you can also make the pattern bigger or smaller to fit your cutting, cut it out as the pictures show below. 3. 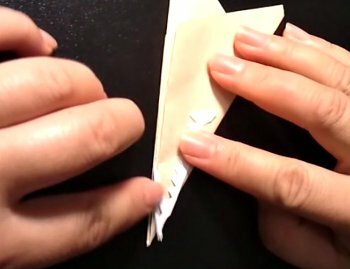 Staple the pattern and cardboard together on the parts that you will cut and remove, so the pattern will not move away when you cut it. 4. 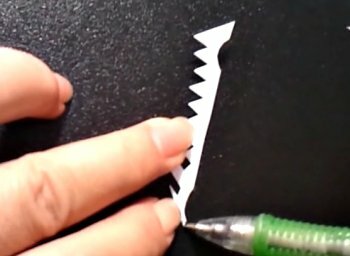 Use the scissors start to cut the hatched part. * Always cut the inside part(s), small part(s) first, this will help keep your pattern stay where it is. 7. 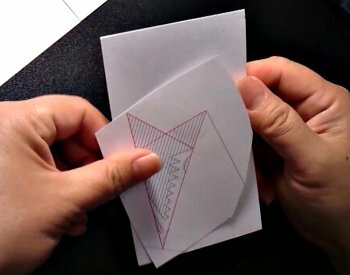 Then write the name or number to remind you what this template is, how many sided fold and cut template it is. 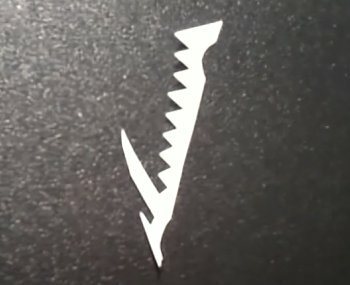 For example, it is a 6-sided snowflake template, or a 8-sided fold and cut template. 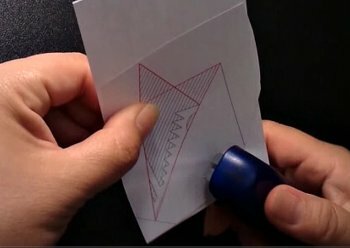 * Keep the center point(as you already marked on the template) and the folded paper center in the same direction. 10. 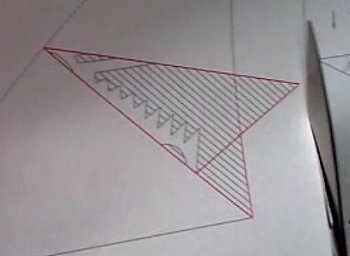 Traced the template onto the folded paper and ready to cut. 11. 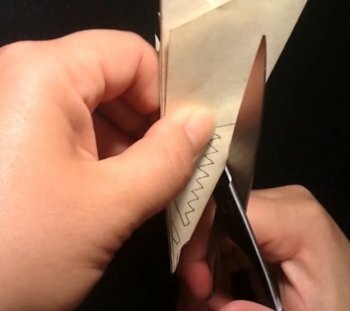 Now use the scissors follow the lines to cut the folded paper. 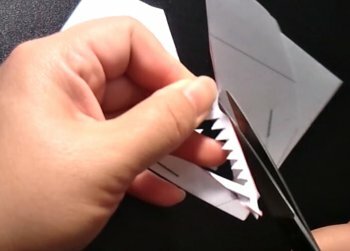 how to make a paper cutting template.